CHITWAN, May 20: Agriculture and Forestry University (AFU) in Rampur of Chitwan now boasts of a new administrative building. 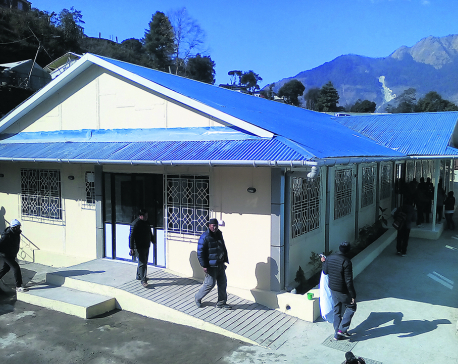 Prime Minister Pushpa Kamal Dahal inaugurated the new building amid a function on Friday. The government had established the university in 2010. But in the absence of necessary infrastructure, it was operating from a rented building at Bharatpur. The Office of Examination Controller shifted to Rampur in mid-July last year. But other offices have been functioning from the rented building so far. According to Vice Chancellor Ishwori Prasad Dhakal, offices of registrar, vice chancellor and directors have become ready now. Similarly, a multi-purpose hall having capacity to accommodate 500 people has also been built on the university premises. “A total of around Rs 360 million has been spent to construct administrative offices of the university. All the costs have been borne by the government,” Dhakal said. 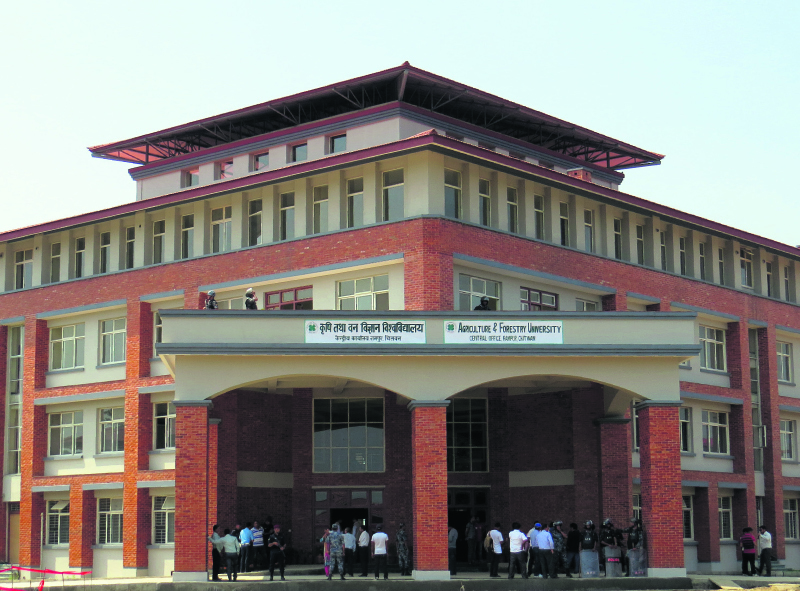 Though the university has already coming into operation, Tribhuvan University has not formally handed over ownership of land and buildings to us, he added. Speaking at the inauguration ceremony, Prime Minister Dahal promised that the government will resolve land and building ownership dispute at the earliest. “I had tried to solve the dispute a day after I assumed office. We have devised a guideline which will be approved by the senate of Tribhvuan University very soon. The guideline will resolve all dispute related to building and land ownership,” added Dahal. The government has formed a committee under National Planning Commission (NPC) Member Gita Bhakta Joshi to resolve property dispute between the two universities. “The guideline has been prepared as per the suggestion of the committee,” Dahal said. Around 1,883 students -- ranging from Bachelors level to PhD -- are studying at the Agriculture Forestry University at present. Of them, 1,471 are studying in Bachelors level and 367 in Masters level, while 45 are PhD students.